The most recent episode of the Burton and Scrooge podcast has a lengthy segment about “collecting”. I must admit, it would never have crossed my mind to make this the main topic of a podcast conversation but it’s actually quite fascinating and relatable. At first, I couldn’t think of any true “collecting” that I’ve done in my lifetime. I’ve never earnestly put any effort into stamps or coins. But the longer the discussion went on, the more I realized that I AM quite the collector, after all! Is Character Personalization Really That Important? I used to think that character personalization was really important to me. In my “first impressions” posts of various MMO’s on this site, I’ve constantly cited the character creation system as a plus or minus, depending on the depth of that system and the uniqueness of the end result. However, my recent dive into Marvel Heroes has me questioning how important this type of personalized character is to my enjoyment of a game. I’ll be the first to admit that I’ve lamented the amount of grind present in MMO’s. But the hard truth is, almost every aspect of MMO’s and RPG’s involves some sort of grind, and yet I still play them. I’ve long enjoyed the leveling process of MMO’s and RPG’s, which at its heart is really just an XP grind. Why are some grinds more palatable, and even desirable, while others are dreaded? At this point in the post I realize two things. 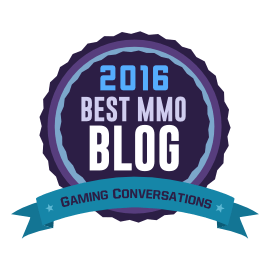 First, many of my readers play and enjoy LOTRO. Second, to those who still play, this post may seem to be highly negative with regards to that game. To those of you who fall into this category, I have this to say: I harbor no ill will towards my favorite interactive depiction of Middle-Earth. I received over three years of intense enjoyment from LOTRO, and it will always hold a special place for me. That being said, in those three years I became intimately familiar with many aspects of the game that, over time, wore down my desire to play, some of which will be mentioned here. Some of these things are a product of a game developed for another era. Game systems are continually evolving, as are gamers’ tastes and thresholds for things like unnecessary grind. Some of these things are a product of (in my opinion) developing grindy systems into the game in order to sell cash shop items to decrease that grind. Likewise, many of the positive examples that follow are from Marvel Heroes, which, while not the perfect game, has the benefit of newness and of having learned from the mistakes of older games like LOTRO. It’s also technically an ARPG, so perhaps a direct comparison isn’t completely fair. I’m not really a big spender. Having five people dependent on my financial income has required that I be fairly judicious with my expense budget, especially with regards to non-essentials. But there are several things that can enhance my willingness to trade my money for pixels. One such thing is goodwill towards the company, itself, which I feel is fairly undervalued in the industry. While some folks are only concerned about the game and the enjoyment they receive while playing, I’ve reached a point in my life where I want to feel valued as a customer. I want the company to acknowledge that I have chosen to enter into a relationship with their product, and that I can also choose to sever it if things don’t go well. 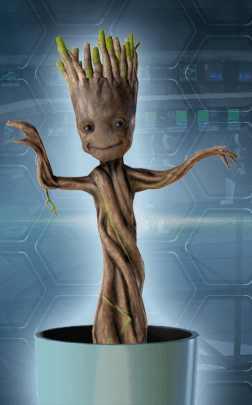 This past weekend, Gazillion’s Marvel Heroes gave away a “baby potted Groot” pet as a part of their two year anniversary celebration. When I told my eight year old son about the promotion, he was very excited to log in and claim the prize. He thinks cutesy little things like that are hilarious, and I’ll admit I was anxious to slot the pet as well! He logged in and opened his present. I showed him how to place it in the pet slot of the character screen. Then I walked away to do some odd fatherly thing or another, and when I returned about five minutes later, he was playing Minecraft, instead.